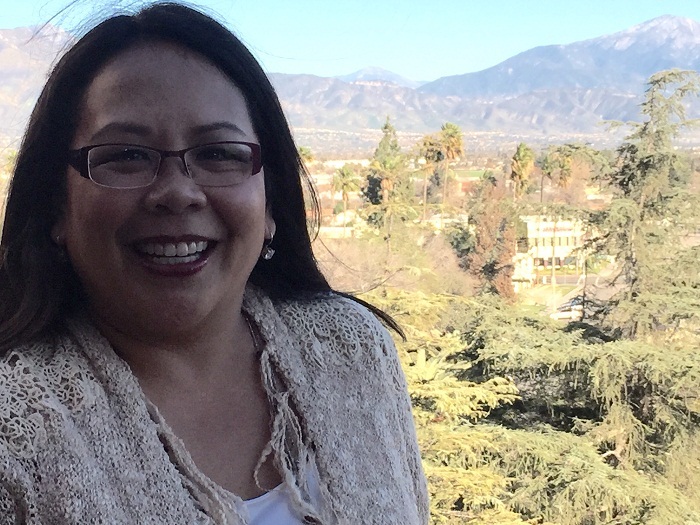 Appointments Secretary Mona Pasquil recently visited the San Bernardino County Government Center in San Bernardino to help recruit citizens to serve on state boards and commissions. The State of California’s Boards and Commissions are a litany of vast and varied topics: the Boating and Waterways Commission, the state boards of Barbering and Cosmetology, Guide Dogs for the Blind and the Gambling Control Commission. Mona Pasquil knows all the vacancies by heart and tours the state of California looking for hundreds of citizens willing to serve and represent their communities on the state’s Boards and Commissions. That’s a bold statement considering Pasquil is a seasoned political adviser and strategist who also served as acting Lieutenant Governor after former Lieutenant Governor John Garamedi was elected to Congress. It marked the first time a woman, Asian Pacific Islander or Filipino-American, has served as Lieutenant Governor of California. Time commitments vary depending on the board or commission. Some people serve statutory terms of two or four years, some people serve at the pleasure of the governor which means they can be replaced at any time, others need Senate confirmation to be appointed. Some boards meet four times a year, others meet once a month. “Some are paid, but most are volunteer,” Pasquil said. There are a variety of positions available, especially for non-experts. For instance, the Medical Board of California has vacancies for licensees and part-time faculty, but there is also a vacancy for a member of the public who does not have any affiliation with doctors or the medical field. For example, Pasquil has spoken to a group of teachers about serving on Boards and Commissions who would likely fit in just fine on boards pertaining to education, but she needs them in a different role. Pasquil got one teacher who was interested in guide dogs to serve on the state board for Guide Dogs for the Blind. “It was totally not in her lane, but people have those passions,” she said. Pasquil is looking for people who are comfortable asking questions of experts and who have a willingness to serve. There have been challenges recruiting people from the Inland Empire as well as other areas of the state. For instance, a cancer research board had a member from the Central Valley retire and all the new applicants for the vacancy were from the San Francisco area. But the Central Valley has a number of health issues and needs that are different from those in northern California, Pasquil said. The same goes for the Inland Empire, where issues on a variety of matters are different from those in other areas of the state. Anyone interested in applying for Boards and Commissions should visit http://gov.ca.gov/m_appointments.php. A list of current vacancies is available here. Please guide me, I’ll be grateful! Thank you. You can apply for service on a state commission by visiting this website: https://www.gov.ca.gov/m_appointments.php. I am interested in the Equal Opportunity Commission, Housing Authority and Aging and Adult Services Commission. Thank you for contacting us. Information on opportunities to serve on County boards and commissions as well as applications are available at http://cms.sbcounty.gov/cob/OtherServices/Boards,CommissionsCommittees.aspx. The links go to Jan 2015 vacancies. Where is the list of 2016 vacancies? Current information from the state is available at https://www.gov.ca.gov/m_appointments.php.